This was a labor of love. 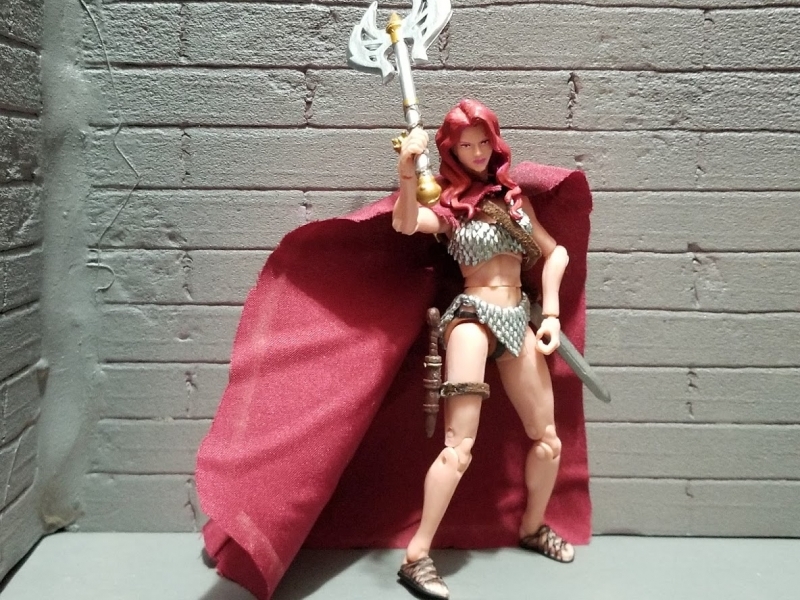 When I first saw the Boss Fight Studios Gladiator character sets and noticed the female Gladiator bikini armor, I knew I had to make Red Sonja. I am sure many of you understand when I say matching skin tones and painting the eyes of custom figures is extremely difficult so I looked for a workaround. I found it with the Marvel Legends Jessica Jones figure. It's an amazing sculpt. I carefully colored the hair with Apple Barrel Crimson Red. I ordered a Boss Fight Studio Basic Amazon figure and Zap Rowsdowers Female Neck Pegs off Shapeways. 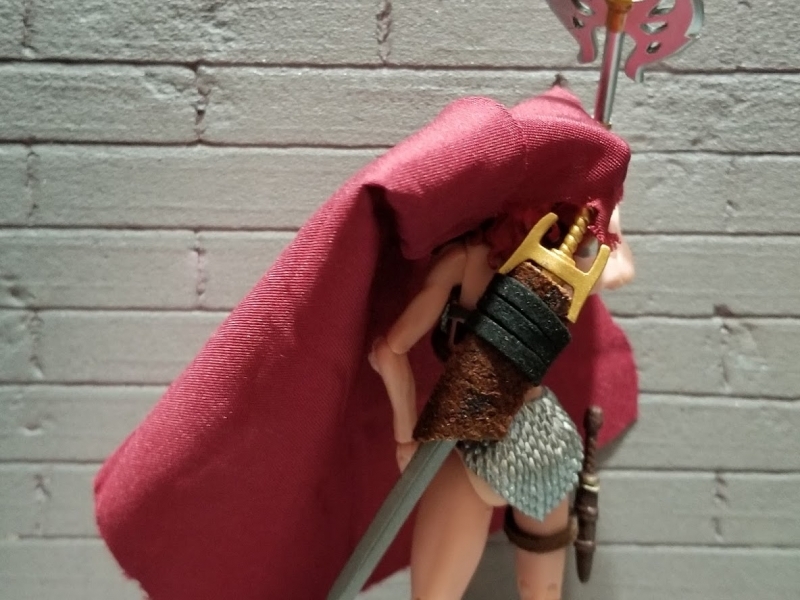 I waited impatiently for my Gladiator character sets to arrive and when they did, I immediately started working on painting the metal bikini with Apple Barrel Metallic Silver. I do have and use more expensive modeling paints such as Model Masters or Vallejo but if the 50 cent bottle of paint from Walmart does the job then I am game. The cape is a custom cut piece off a scrap of cloth. The sword sheath is custom leather as is the harness. 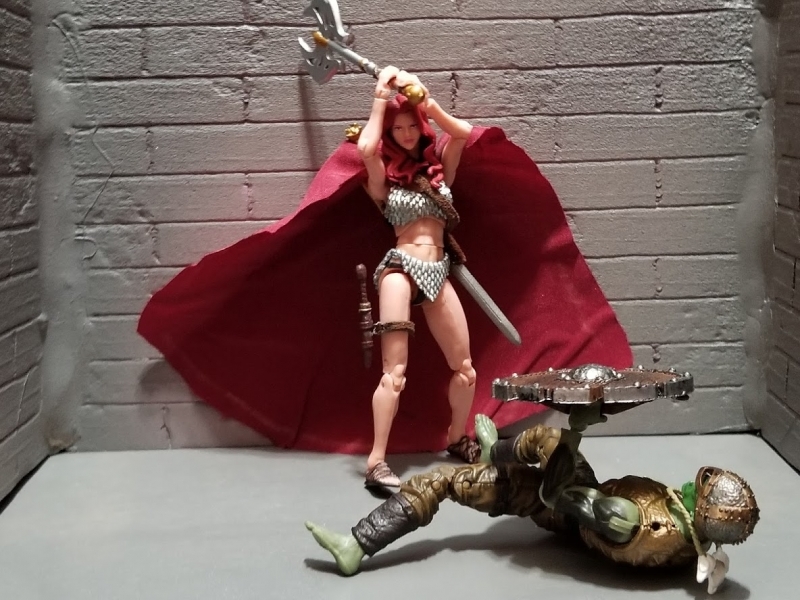 The sword is from a Marvel Legends Valkyrie figure. 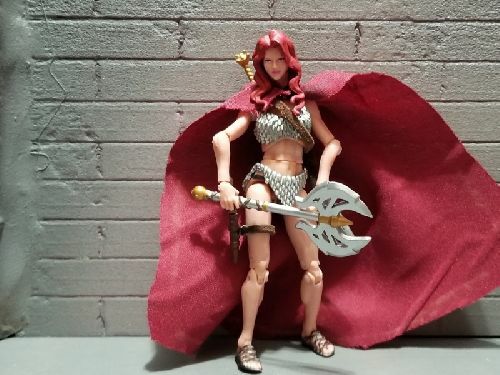 The knife on the thigh is from a Marvel Shanna the She-Devil figure. The axe is from a Boss Fight Studio Knight of Accord. I am pretty happy with the way she turned out and hope you enjoy it enough to attempt to make your own version. Enjoy!